By the commercial AirGo fuel contracts you will save about € 300 per hour compared to a private operation. You will also have economical advantages by better insurance coverage and lower fleet insurance rates. Maintenance will be easier and cheaper, as you will have access to our fleet maintenance contracts and parts availability. If the aircraft is chartered to a third party, you receive a charter rate from which you only need to deduct reserves for maintenance. All maintenance costs, landing fees, parking fees are exempt from value-added tax in all of Europe. You are therefore not required to file complicated applications for refund abroad. If you fly for private purposes, value-added tax would be completely lost in case of a privately operated aircraft. AirGO guarantees that a crew will be available for your aircraft – substitute crews will be available in case of vacation, days off or sickness. 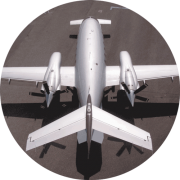 AirGO offers you unlimited use of a Piaggio Avanti, even if your own aircraft is currently at maintenance or is already used by you or otherwise used for you. 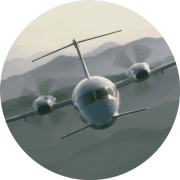 By entering into a management agreement with a holding company, expenses for tax delineations regarding the use of a corporate aircraft for private and business purposes are dispensed with. In the future, owners of private aircraft will also be required to fully manage their flight operations under the supervision of the Aviation Authority. Maintenance and repairs are planned and monitored by AirGO –with regard to their quality as well as their necessity and costs. In terms of insurance, you are considered to be an air carrier when flying your private aircraft. This means that you take full responsibility – even for all personal risks incurred during a flight. This is no longer the case if your aircraft is operated commercially, i.e. your responsibility is transferred to AirGO. Your claims equal those of a third-party client, and you are fully covered by passenger insurance benefits of up to € 20 million in total. 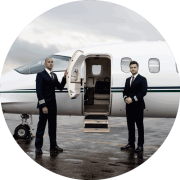 Pilots are supervised by AirGO in a very professional manner: they operate according to our Standard Operating Procedures (SOP), are trained on a regular basis, and can resort to the expert knowledge of an experienced pool of pilots. Every flying hour you safe about 300€ on fuel. As a private owner you have the air carrier risk – under AOC AirGO is the air carrier. No more headache with pilot ressource management and supervision.